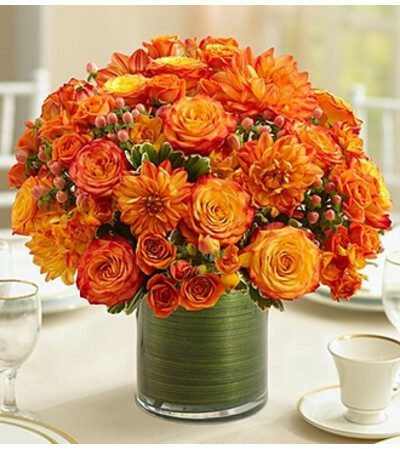 Make every table at the wedding reception pop with our bright and beautiful centerpiece of mixed orange blooms. 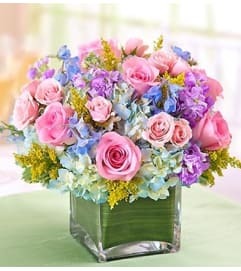 Unique bi-color roses, dahlias and freesia are mixed together to create a backdrop of richness and warmth, accented by hypericum berries and lush greens. 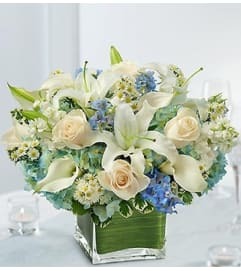 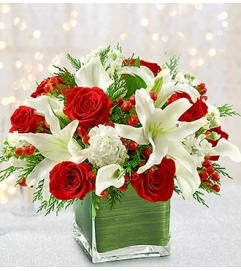 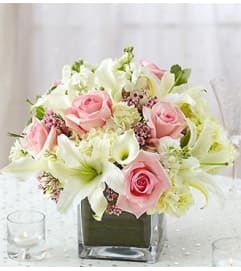 Our expert florists skillfully arrange each one in a glass vase lined with ti leaf ribbon to color all of your guests impressed!